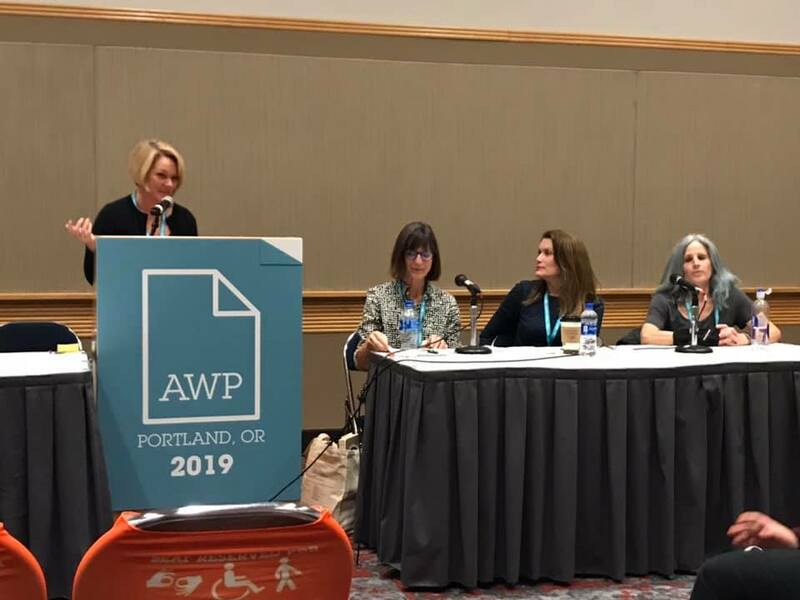 Thanks to all those who turned out for our panel discussion, “Crafting Narrative Identity with Unreliable Memories,” at the Association of Writing Professionals 2019 conference in Portland, Oregon. It was a great group – full house! I look forward to next time. 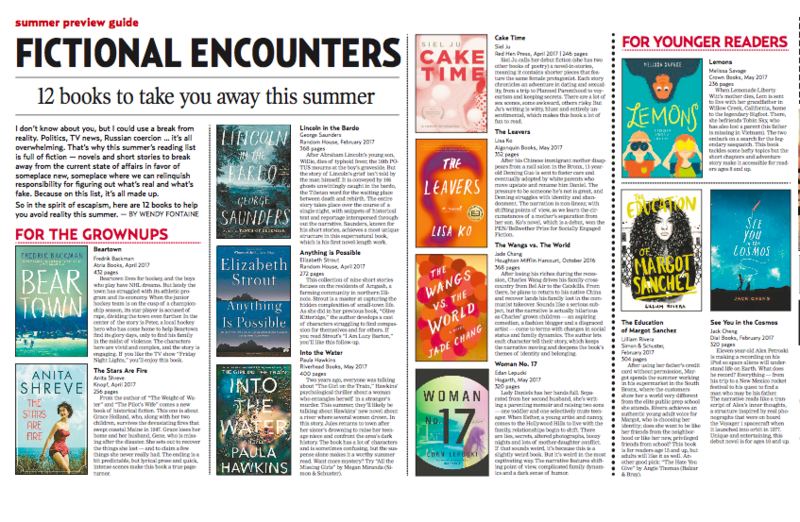 Posted in Uncategorized | Comments Off on Thank you, AWP! Posted in Uncategorized | Comments Off on Listen. Safe. Here. 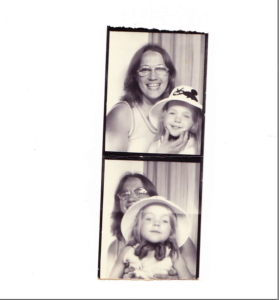 Memoir is a genre composed of personal memories, but what happens when those memories are blurry or missing altogether? 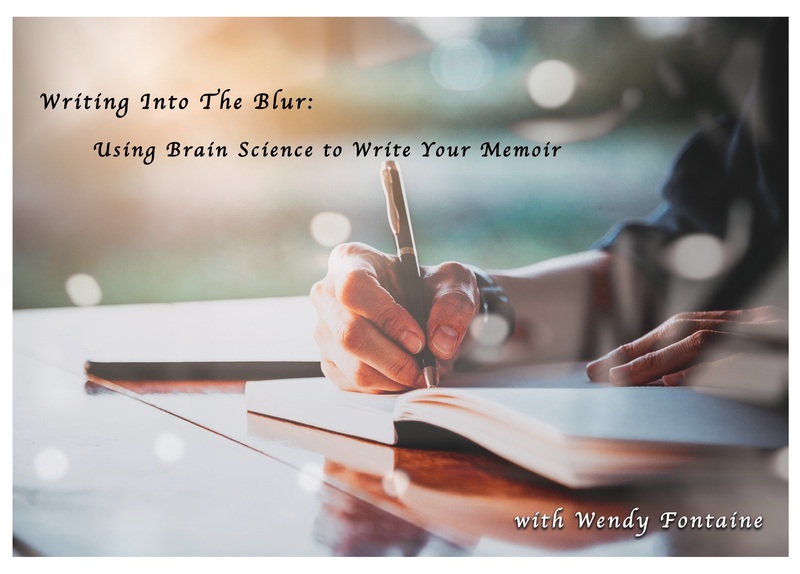 Your brain goes to great lengths to protect you from reliving painful experiences, but what does that mean for your memoir? Can you still write about what you don’t remember? In this workshop, we will discuss ways in which memory is biologically prone to distortion, based on research by neuroscientists and psychologists. We’ll examine briefly the works of writers who have used memory distortion as literary technique. 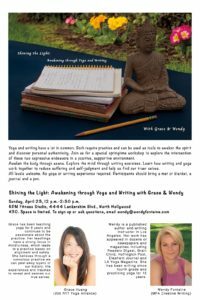 And through a series of writing exercises, we’ll identify our own challenges with memory and practice rendering our experiences to the page. Participants should bring instruments for writing (pen and paper or laptop), as well as one photograph that relates to a current or future writing project. 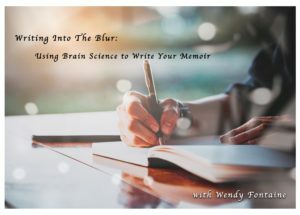 Writers will leave the workshop with a deeper understanding of why their memories have been inaccessible, as well as a plan for how to put difficult experiences into words once they get home. 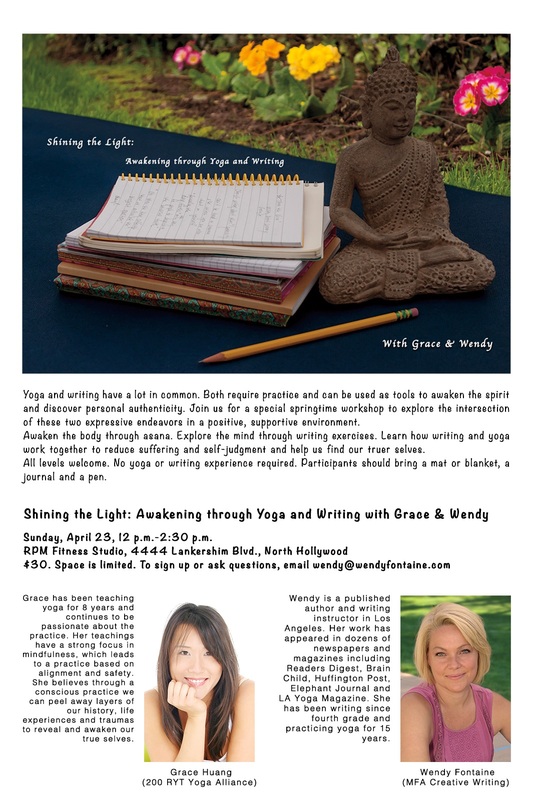 Wendy Fontaine is a writer and writing instructor in Los Angeles. Her work has appeared in dozens of newspapers and magazines including Hippocampus, Hip Mama, Literary Mama, Passages North, Readers Digest, River Teeth and Tiferet. She recently completed a memoir manuscript and is currently at work on a novel and a screenplay. Posted in Uncategorized | Comments Off on One-day memory seminar coming Jan. 21! Good read. Lots of suspense. I liked that just when I thought I’d figured something out, there was a twist. Some things I did figure out. And some I didn’t. Very good pacing. I thought there was a bit too much reflection and inner monologue on the part of the narrator, Clara – to the point of being repetitive. It felt like the author was going over things too many times. In order to create more suspense? To create intrigue? To illustrate Clara’s confusion? Not sure, but whatever the reason, it was annoying and I found myself skimming broad chunks of inner thought narrative. Looking for a good end-of-summer book? Here’s a list I wrote for a magazine in Rhode Island called Newport Mercury. Some great titles here! What I’m reading right now: The Heavens May Fall by Allen Eskens. Here’s some exciting news for 2017. Now you can buy artwork and merchandise with my writing on it. Thank you to the artist, Lori Soucie, for featuring my words on her images, which are gorgeous and mesmerizing and inspired largely by nature. The first image is called Faith, and it’s all about trusting your choices. How much do you love that? I love, love, love it, and I’m really excited about this new collaboration. More images to come. Stay tuned! Christmas is a really difficult time for me. Every year, I have these weird flashbacks to the first holiday during divorce – wandering the mall with a two-year-old, trying to figure out how to be festive for a toddler, wrangling a giant blue spruce into the living room when all I really wanted to do was hide under the covers. 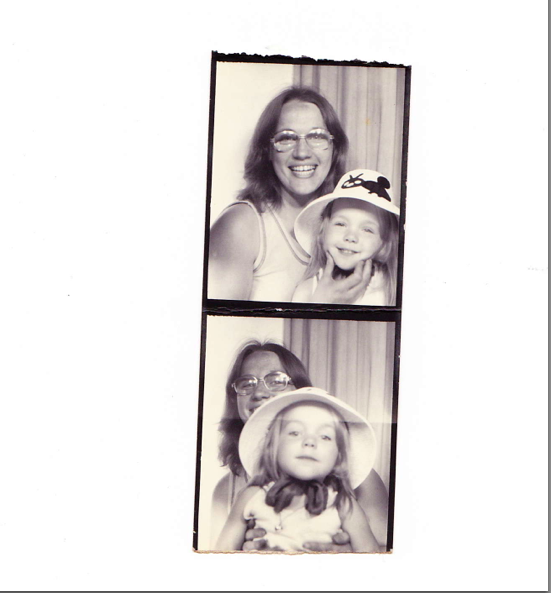 I have happy memories too, and so I try to focus on those. Here is one of them. 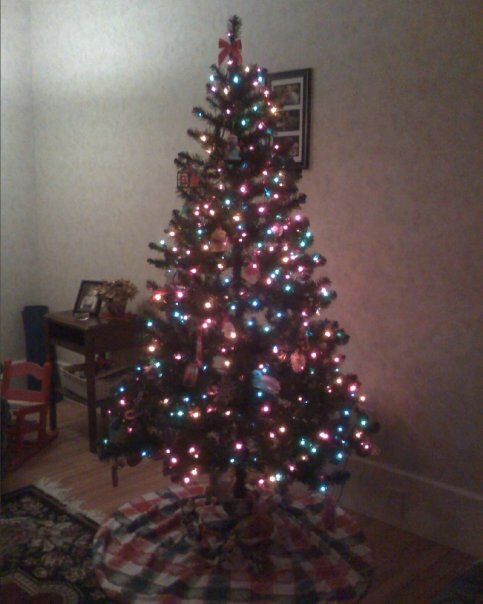 On our second holiday after divorce, when Angie was three, she and I had almost nothing – no Christmas ornaments and barely any money for a tree. 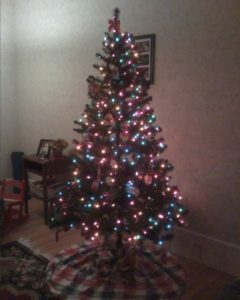 So we bought this one at Walmart for twenty bucks, and then we decorated it with ornaments my grandmother had gathered from yard sales and church bazaars. All of them were handmade by people I’d never even met. Crocheted angels, popsicle-stick sleighs, and candy canes made with colored beads and pipe cleaners. It wasn’t much, but it was everything. I wish those church ladies could know what a difference they made for us that year. No matter what happens, no matter who or where or why, there is always love.